Velocity Tandem Disc wheel sets feature 40 spoke disc front and 40 spoke disc rear hubs. Rear available in 140 or 145mm spacing. Built with 14g stainless steel spokes and laced in a 4 cross pattern for strength and reliability you can count on. 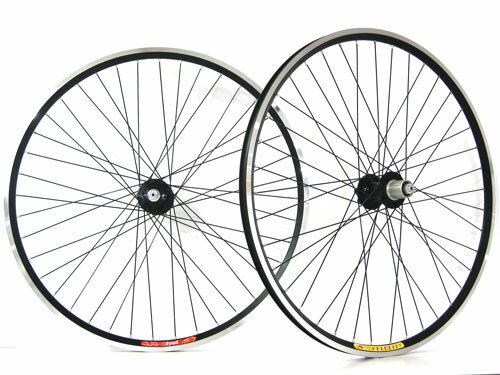 Available in a variety of rims and in both 700C or 26" sizes. 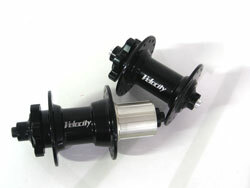 This versatility allows you to ride on a 40h Dyad, Aeroheat, Fusion, or Deep V rims.